1) How easy is it to take care of? Orchids that are kept indoors need to be watered once a week, more frequently if kept outdoors. They should also be fertilized bimonthly with a weak water-soluble solution like Miracle grow or Peter’s Special. 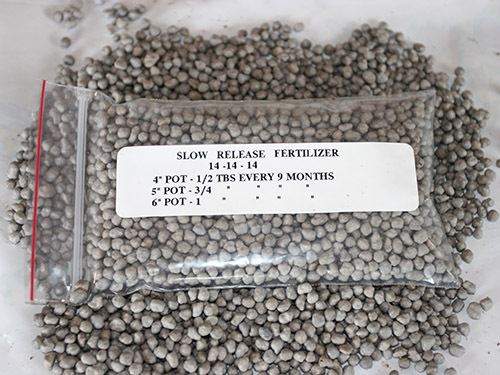 If you are unable to add a water-soluble fertilizer regularly we do sell a granular slow release fertilizer found in our “Orchid Supplies” section. 2) How do I get my orchid to bloom again? Assuming you are consistent with watering and fertilizing the other thing to consider is the environment your plant is in. A comfortable temperature range for an orchid is between 60-85 degrees F. Humidity should also be about 40% or higher. A bathroom or kitchen with the appropriate lighting is an ideal location for an orchid to grow. Misting or use of a humidity tray can also create humidity. 3) My leaves turned yellow, is that normal? 1. Constant cool, rainy conditions will cause premature leaf loss. 2. Bug infestation (spider mites are usually most common). 4) What kind of plant is right for me? 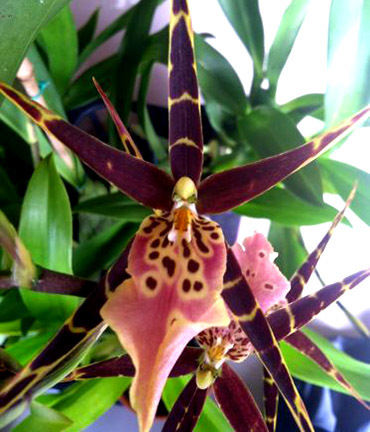 The amount of light you have in your home is a great way to determine what type of orchid plant you should purchase. 1. 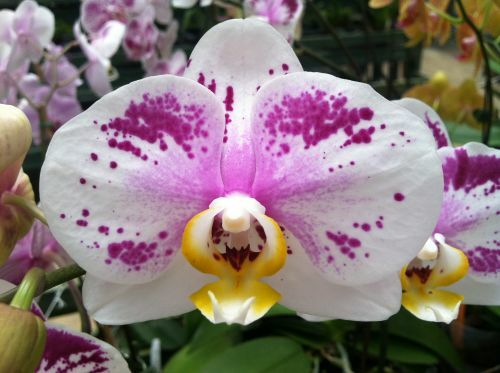 Phalaenopsis (Moth orchid) like low light and should be placed near an East, West, or Southern facing window. Do not place in direct sunlight or the leaves will burn. 2. Cattleya and Oncidium orchids like medium to bright light close to an East, West or Southern Window. If weather permits (60-85 degrees F) place outside in a bright area with partial shade. Mid-day light should be avoided. 3. Dendrobium like very bright light and should be placed in the brightest area in your home, or outside when weather permits (60-85 degrees F). 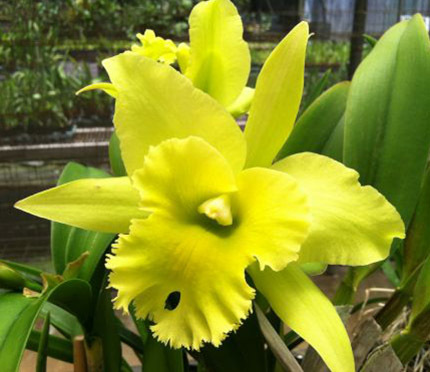 Place in an area similar to the Cattleya and Oncidium or in a brighter location without causing burning to the leaves. If you live in a desert state or have low humidity (CA, NV, NM, UT, etc…) your plants should be left indoors year round. With adequate care and correct placement your plant should bloom every year. 5) What does in spike mean? In spike means that there is a flower spike developing OR a flower spike with buds, but no flowers open. 6) What does near blooming size mean? Near blooming indicates that with proper care the plant can be expected to bloom within a year or two. 7) What is a seedling? A seedling is a plant that was hybridized and germinated from a seed. It will be approximately 2-3 years until its ready to produce flowers. Please don’t hesitate to use our contact page to aks us any question.